One of our most popular models, the Whip, is now available in a XL 21” toptube size for 2019. This beast is constructed using full 100% 4130 chromoly throughout the entire frame, fork and handlebar set. Complimenting this strong, durable structure are sealed bearings everywhere; headset, bottom bracket, and both front and rear hubs. Topping off all the great functionality, the Whip XL comes in a slick Dual Finish Translucent Black Edge Fade colorway. 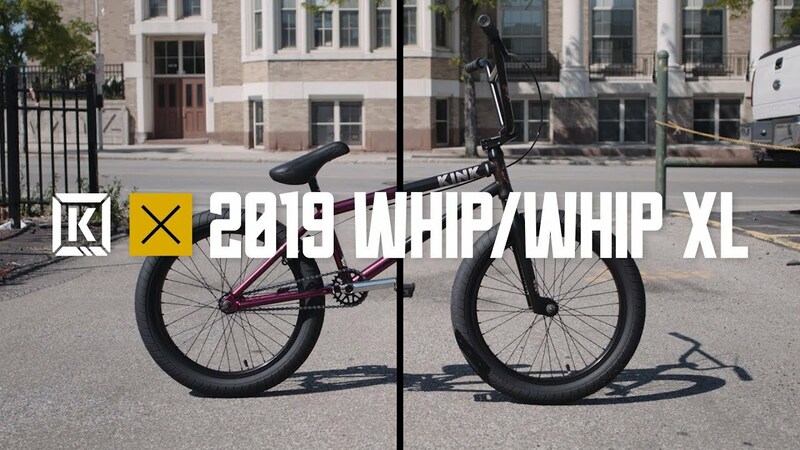 Featuring Kink Stryker forks, the new 9.25” Kink Buffalo CC bars and Kink Ridge 3-piece tubular chromoly cranks, the Whip XL is fitted with great components featuring modern geometry. Adding to all these specs are the comfortable Kink Ace flangeless grips, Kink Hemlock pedals, and Pivotal seat and seat post. Retailing for a price everyone can agree with, the Whip XL cannot be beaten.